Home CDN , children , crafts , December , feature , holiday , holidays , homeschool , papercrafts , printables , US , worldwide December 19th - Freebies! PLUS - interesting books to read and free printables, paper crafts, kid crafts, activities, and coloring pages. -- On a slow day in December 1918, while working as a sports cartoonist for the New York Globe, Ripley created his first collection of odd facts and feats. The sketches, based on unusual athletic achievements, were initially entitled Champs and Chumps, but after much deliberation, Ripley changed the title to Believe It or Not! The cartoon was an enormous instant success. The rest is history and the phrase Believe It or Not! is used by just about everyone - just about every day. -- From its inception in 1918 and the days of Robert Ripley's travels and broadcasts to the creation of the first BION and the company's proud publishing history through the years after Ripley's death to the incredible collections and the expansion into a world-class attractions company, fans and friends of the brand will be inspired, awed, and amazed. This book is a spectacular artifact of an American icon people will want to make a part of their own collection and enjoy again and again. • Ripley: Believe It or Not -- LeRoy Robert Ripley rose to fame during the Great Depression, transforming himself into an entertainer who mesmerized the nation with his razzle-dazzle blend of homespun Americana and freakish oddities. This is the story of the man who popularized the iconic phrase, and proof of why we still can't resist his challenge to Believe it -- or not! • Ripley's Fun Facts and Silly Stories -- Each of these titles is filled with weird and incredible facts and stories younger Ripley's fans can enjoy. With the large colorful type and entertaining images which made this series popular, kids will love reading through each of the three books. Unbelievable facts and amazing pictures are supplemented by stories and information throughout. 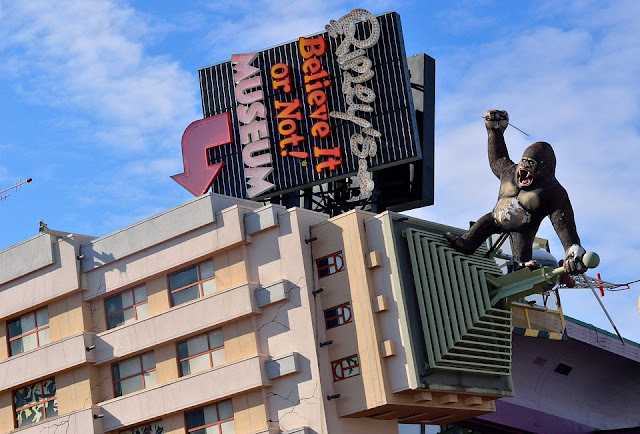 • Ripley's Believe It or Not! The Cartoons 02 -- The Ripley’s Believe It or Not! cartoon is the longest running cartoon strip in the world. It has been published since 1918, when Robert Ripley himself was the cartoonist. By 1933, the Ripley's Believe It or Not! Cartoon was read daily by millions of people in 17 languages across 300 publications around the world. Selections from this rich treasure trove of unbelievable stories make up this compilation of cartoon ebooks, each guaranteed to astound, amuse and entertain. • Free Alexa Skills | Ripley's Believe It or Not! • Crazy Art - Ripley's Believe It or Not! - Enjoy the cholesterol lowering benefit of oatmeal in your muffins today. That's great news... eating something which tastes good, and is also healthy to you. - Commercial first ran in 1985. The I've fallen and I can't get up ad had the double misfortune of being unintentionally campy and appearing often on cable and daytime television. The combination made I've fallen... and I can't get up! a recognized, universal punchline which applied to many comedic situations. All of these factors made the ad memorable, ensuring the line's place in pop culture history. - At 3:15 PM, EST, on December 19, 1958, the US Earth satellite Atlas transmitted the first radio voice broadcast from space, a 58-word recorded Christmas greeting from President Dwight D. Eisenhower: to all mankind America's wish for peace on earth and good will toward men everywhere. The satellite had been launched from Cape Canaveral on December 18th. - The most expensive film made (up to that time) at $200 million was released in theaters on this date in 1997. Titanic, written and directed by James Cameron, featured the drama of star-crossed lovers (Leonardo DiCaprio and Kate Winslet) paired with the amazing special effects re-creation of the doomed 1912 ocean liner's first and last voyage. The film won 11 Academy Awards, including best picture, which tied it with 1959's Ben-Hur. It is widely considered one of the most successful films ever made. - To many people, only a fresh cut real tree will do for Christmas. The scent of fresh pine helps to capture the feel of the holidays. Nothing looks more real than a real tree, each one with it's own character and appearance. So if you are still treeless, this special day could be the day to do so.